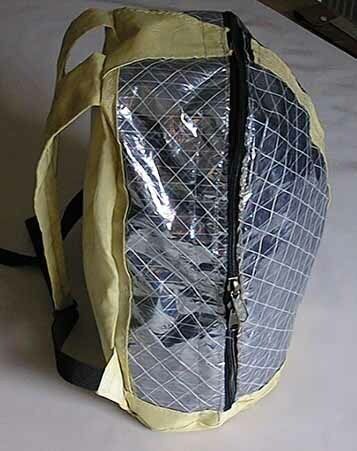 A simple daypack, with a Kevlar back & a metallised Mylar outer. 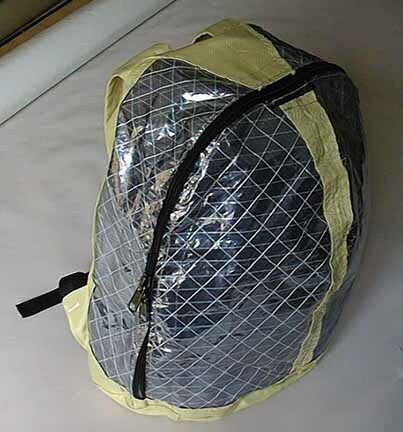 The Mylar is essentially cosmetic - it's backed by a layer of tough nylon. This pack has unpadded straps & back. The Kevlar (as used in bulletproof jackets) is suprisingly comfortable.